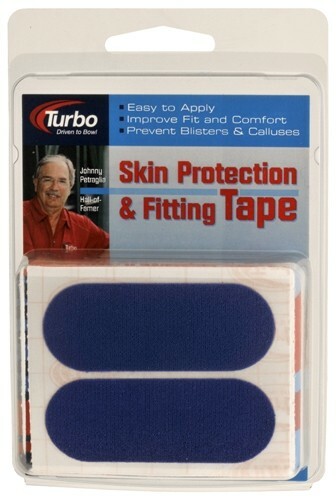 The perfect compliment to the Turbo line of Skin Protection and Fitting (SPF) Tapes. Made from a smooth polyester fabric, this vibrant blue SPF tape is thinner than the popular cotton fitting tapes and has plenty of stretch. It is recommended as a release agent or replacement for messy powder. Due to the time it takes to produce the Turbo Quick Release Patch Tape PKG/30 ball it will ship in immediately. We cannot ship this ball outside the United States.